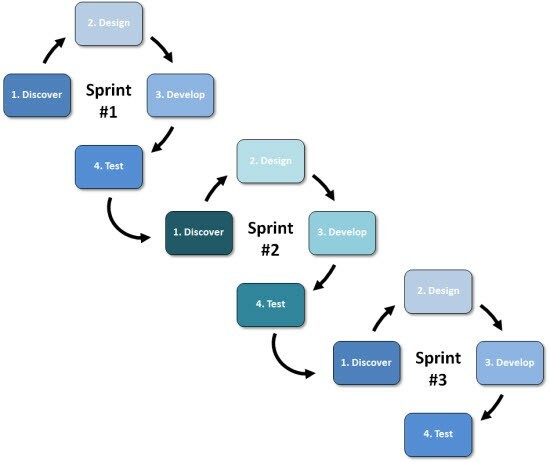 There's no shortage of success stories on the use of project management methods like Lean and Agile to software development (which is what Agile was formulated for) or for manufacturing (Lean's origin from Toyota). But what about for tech hardware? Can these customer-focused, cycle-shortening, error/waste-reducing techniques also help hardware developers, including start-ups and entrepreneurs looking to make it to market quickly and within an often-crowdfunded budget? The answer(s), according to several experts: You may not be able to quick-iterate your hardware design as fast as you can test/build/correct-cycle software. But you can still apply many of those methods and the long-term benefits that come with them. And given that today's hardware projects are under serious pressure, every possible advantage-giver is worth considering. “Hardware teams are being asked to work on ever shorter cycles," says Nancy Van Schooenderwoert, President of Lean-Agile Partners, Inc., which does coaching in lean and agile practices when safety, quality, and product value are critical. "At the same time, there's even more pressure to get quality levels higher. Third-party testing to address regulatory requirements and meet international standards can be very expensive, so there is pressure to make it through on the first try." One source of help: applying Agile and Lean methodologies and tools, according to Van Schooenderwoert. "While there is plenty of room for cynicism, I know that Agile methods can be led well and executed well, in software, firmware, and even hardware,” Van Schooenderwoert said. “Hardware teams are now often working with software teams that are using Scrum or another kind of Agile approach." "Many Lean methods that can be done for software projects don't apply as well for hardware," cautions Elaine Chen, founder and managing director of ConceptSpring, Senior Lecturer at MIT, and author of the book Bringing a Hardware Product to Market: Navigating the Wild Ride from Concept to Mass Production. "For example, it still takes longer to prototype hardware than software. But the spirit of Lean still applies." Of course, Chen points out, "With hardware, you can't make a whole new product each time. So you have to get creative, determine what you will go to customers to test with." Smaller consumer products may be faster to test in "chunks." For example, says Chen, "We can separate form and function to speed up product testing. For a handheld device, you can test the form with foam and 3D printed prototypes. I was part of a gaming Bluetooth controller project. We made 50 different iterations/versions in a week." On the other hand, says Chen, “For a larger product, like, say, a five-foot-tall robot I was involved in creating, you can't make fifteen or twenty versions in a week, so you have to plan for longer prototyping cycles. For the robot project, we used foam to test the form while developing engineering prototypes. So, even for a robot, the spirit of Lean can apply. But, of course, form and function do have to come together eventually." But there's more to Lean and Agile than rapid-iterative development, Chen points out. "Lean techniques applicable to hardware development include ongoing customer research and the idea of writing down your hypotheses and breaking them down into small testable chunks." Chen's advice? "Do hypothesis testing, and iteration testing with customers. Don't spend two years planning. Stay close to the customer." "What I see new happening in this area is that executive level management in a number of companies – large and small – are taking serious interest in managing their organizations differently, to be more in line with the values underlying Lean and Agile," reports Lean-Agile Partners' Van Schooenderwoert. "With my clients, I usually suggest starting with a workshop, which lets me show them a technique, such as breaking specifications into Agile 'stories,' using their actual work, while I learn more about their situation," says Van Schooenderwoert. But Lean and Agile and other methods aren't magic bullets, Van Schooenderwoert cautions. "You can't just implement them in a superficial way. Training isn't enough, you have to learn how to apply it to your own projects and products, systemically and sustainably. And you have to address technical issues and problems as well as change your methods. It isn't one 'fix' – it’s a constellation of management and technical practices that place focused, thoughtful decision-making close to where the work actually happens." Also, Van Schooenderwoert stresses, "Even if your company and people have experience in doing software, it's not a slam-dunk knowledge transfer. Whether they are using these methods well or not is one issue – whether managers support and lead it well is quite another one." "None of this is new," notes ConceptSpring's Elaine Chen. "Product design consultancies like IDEO or Continuum Innovation have been doing this for 25 to 30 years. Being close to the customer is a principle still relevant for any development process." Daniel P. Dern is an independent Boston-based technology, business and marketing writer. 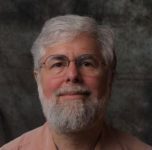 His articles have appeared everywhere from the Boston Globe and ComputerWorld to IEEE Spectrum and TechTarget. He was editor of Byte.com for several years, and the founding editor of Internet World Magazine. Daniel also writes science fiction and children's stories, and is an amateur magician. 6 Tips On Getting Funding for Your Engineering Research Effecting Change at Work, or How to Engineer a Better Outcome For Hardware Entrepreneurs and Startups, What Opportunities and Benefits Do “Smart Manufacturing” and “Industry 4.0” Offer?